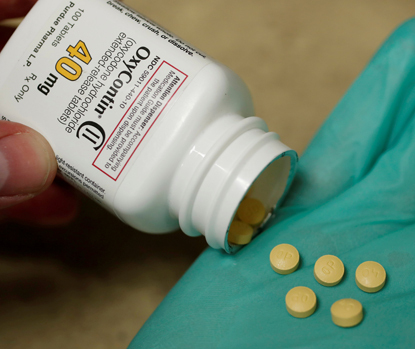 WASHINGTON (CNS) — The opioid addiction crisis in the United States is too big to allow Congress to let politics derail passage of a bill to fight opioid abuse, according to Bishop Frank J. Dewane of Venice, Florida. “As the midterm elections and the end of the year approach, it can be difficult to complete complex legislation during the remaining time. The opioid crisis, however, cannot wait until next year,” said Bishop Dewane, who is chairman of the U.S. bishops’ Committee on Domestic Justice and Human Development, in a Sept. 21 statement. “The opioid crisis has affected all corners of our country. Preliminary estimates by the Centers for Disease Control indicate that more than 72,000 Americans died of a drug overdose in 2017, which is about one death every eight minutes,” Bishop Dewane said. “As Pope Francis has said, ‘Every drug addict has a unique personal story and must be listened to, understood, loved, and, insofar as possible, healed and purified. We cannot stoop to the injustice of categorizing drug addicts as if they were mere objects or broken machines; each person must be valued and appreciated in his or her dignity in order to enable them to be healed,'” the bishop added. The Senate Sept. 17 passed the Opioid Crisis Response Act 99-1. The House, in June, passed the Stop the Importation and Trafficking of Synthetic Analogues Act largely along party lines. A conference committee of lawmakers is trying to hammer out a bill that reconciles the two measures. Issues that are at play include the creation of drug crimes and the specter of long prison sentences for them; the privacy of addicts’ medical records; and a provision that extends the time employer-sponsored health plans must cover treatment for end-stage renal disease, a common byproduct of opioid abuse.